Want to cuddle with Alison? I also love self-expression through a variety of visual arts and music. 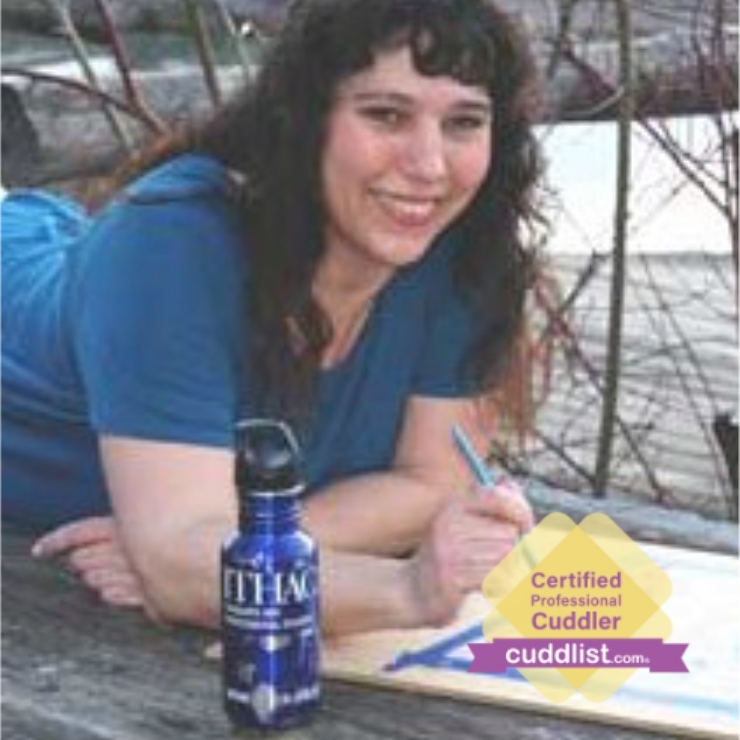 I have earned a Masters degree in Communication, 200 hour yoga instruction certificate, and have studied a variety of energetic healing modalities such as reiki. 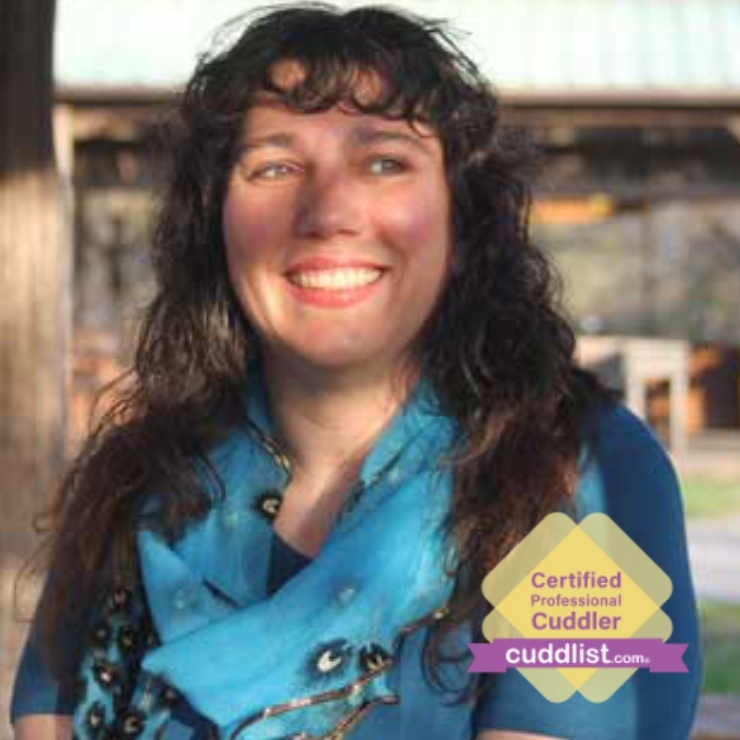 I am also Certified Cuddle Party Facilitator #158. I have worked in handmade gemstone crystal healing jewelry and last year I created a video series that features the healing work of my dearest friends and teachers. 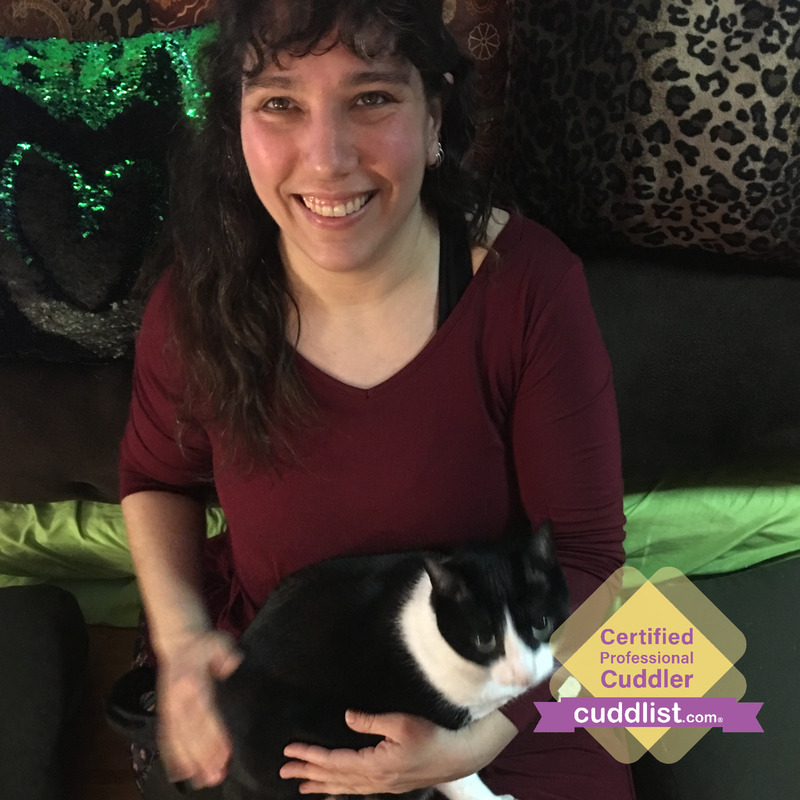 Listening, sharing space, and being tenderly present with my clients are the fundamental practices of cuddle therapy that I find most inspiring. I deeply love to share the healing presence that forms a common thread through all the arts I have studied. I am also an introvert. The screening process described further in the session information below may seem challenging, but I need to establish a trusting connection with my clients before I am able to do this work with you. It’s empowering to be listened to fully and receive the full attention of another. People often are too afraid to go around asking for what they want, and often the people we most want to connect with are just unavailable to us. It is important meet your need for compassion, connection and empathy face to face with another human being. My focus is on empowering clients to practice assertive self-aware communication of their desires, so in a session I emphasise engaging present moment awareness to articulate your desires or boundaries. 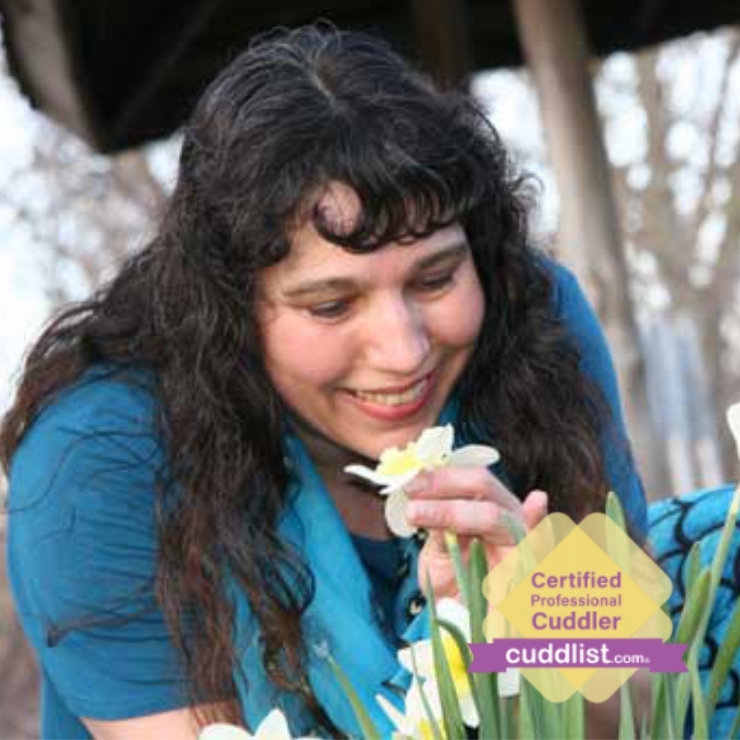 Please read our code of conduct and come prepared with your ideas of how you want to be cuddled. While I am working, my desire is to exceed my client’s expectations without compromising my own boundaries or the Cuddlist Code of Conduct. 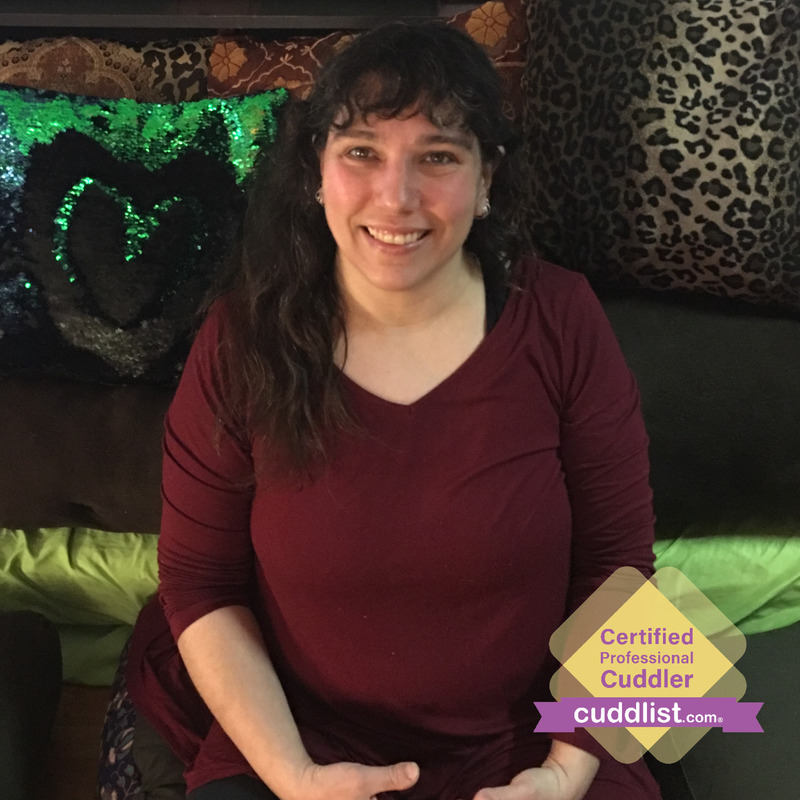 I promise to be clear and upfront with my personal boundaries, and coach you to do the same while I offer you the space to safely express your desires for the platonic touching that you want. If you want to experience that first hand, there is a screening process which is in place because it only works when we both trust each other. When you request a session, there is a brief questionnaire which will be sent to me via email as soon as you submit it. I intend to reply via email within 24 hours. Detailed responses using complete sentences facilitate understanding while a single word’s intended meaning is easily confused. Also, please make sure that your requested date and time for our first session is a day or two in the future because it may take me some time to get to your intake form and set up the next step. The next step in the screening process is to schedule a brief video call. This call allows us both to get to know one another and make sure we are on the same page. This process facilitates building the trust in each other that we need to be able to do this work. I will not be able to work with anyone who fails to treat this process with respect and patience. This is also your opportunity to get all the information you need to choose if you really want to work with me. During the intake process, if we are both comfortable with the match, we can decide if you will come to my location (incall) or I will travel to yours (outcall). Incalls take place in my home office in Ithaca, NY. My living room is now my home office and yoga studio where I have a variety of cushions, mats, pillows, and a plump kitty also lives here. There is room to park in my driveway or on the street, and public transportation is also close by. I prepare the space by clearing energy with palo santo and diffusing essential oils. I have a variety of aromatherapy oils, and I’d love to know your favorites. Please let me know ahead of time if you are scent sensitive, or allergic to cats – it may be better to arrange for an outcall in extreme cases. 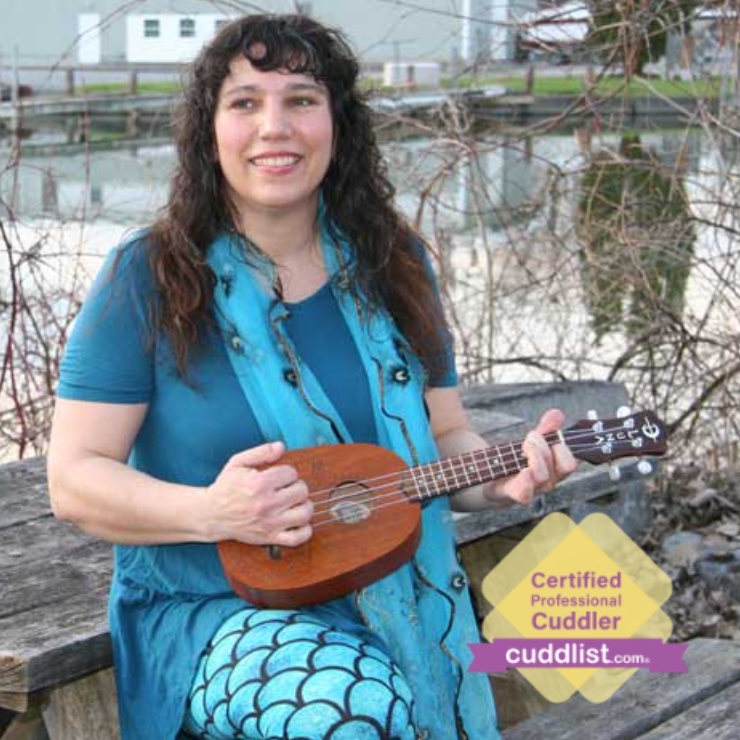 I am available for outcalls within the city and town of Ithaca, NY. I may agree to travel longer distance on a case by case basis. If I travel to your location, I require a clean space free of tobacco smoke for our session, and compensation for my travel time. I can be available in the day or evening on weekdays or weekends - please request a session for availability. 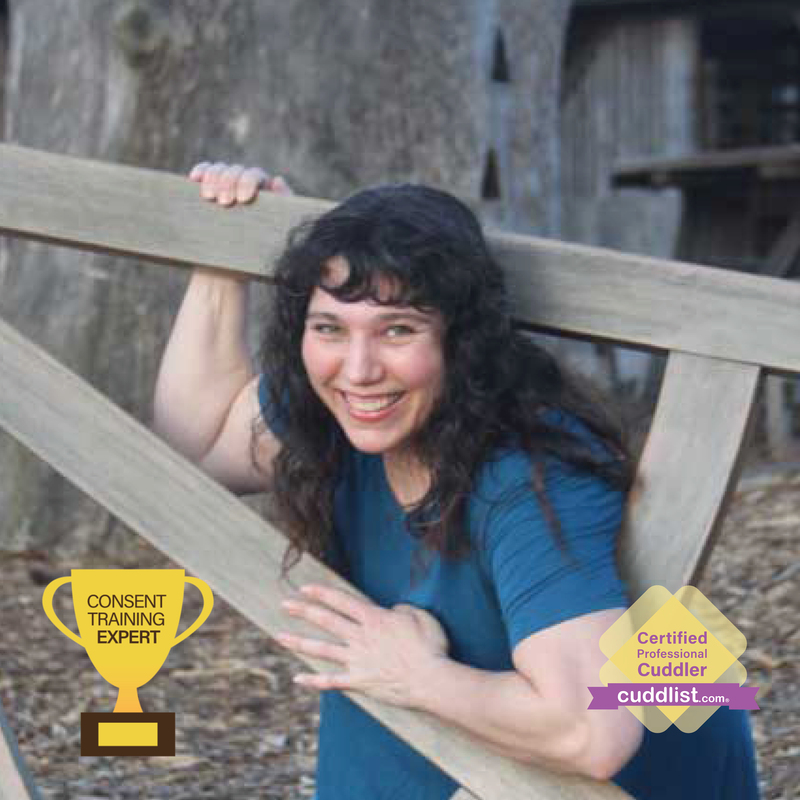 Once we have had an intake call, you can use my website, www.teachingithacawellness.com, to schedule a time on my booking calendar.